Anthony Santander’s two-out single drove in Mark Mathias from second base to break a scoreless tie in the eighth inning and help the Hillcats emerge victorious, 3-0, in a second-straight pitchers’ duel at TicketReturn.com Field Wednesday night. For the second consecutive evening, both starting pitchers tossed six scoreless innings and received no-decisions. Thomas Pannone struck out six and only surrendered three hits in his six frames on the mound. Preston Morrison tied a career high with nine punchouts in six innings and only allowed three hits for Myrtle Beach. The Hillcats bullpen took over and completed the team’s 13th shutout of the season. Mitch Brown (4-6) worked a perfect seventh inning and earned the victory. David Speer received a hold by entering a 1-0 game and keeping the Pelicans off the board with two strikeouts. Trevor Frank notched his 17th save of the season with a perfect ninth inning to secure the 3-0 final. Lynchburg’s 13 shutouts rank second in the Carolina League behind Myrtle Beach’s 14. Lynchburg failed to score a run and only had seven hits in the first 18 innings of the series, but that finally changed in the eighth inning. Mark Mathias drew a one-out walk, and two batters later, Anthony Santander singled to left to bring him home afterMathias advanced to second on a Francisco Mejia groundout. The two-out RBI broke Lynchburg’s longest scoring drought of the season and gave the ‘Cats a 1-0 lead. The Hillcats’ ninth-inning rally also began with a walk. Yu-Cheng Chang coaxed a free pass, and Taylor Murphy tripled to right-center field to push the Hillcats advantage to 2-0. Connor Marabell lined a single to left to stretch the final margin to 3-0. Lynchburg maintained a one-game lead over Potomac in the second-half Northern Division standings with five games to play in the regular season…The ‘Cats are 8-5 against Myrtle Beach this year, including 5-4 at TicketReturn.com Field…Lynchburg improved to 60-17 when scoring the first run of the game. Lynchburg plays its final road game of the regular season Thursday at 7:05 p.m. Matt Esparza (2-3, 2.91) will start for the Hillcats. 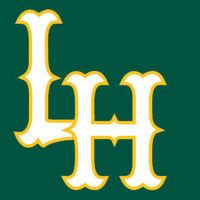 Fans can listen to the action on 93.3 FM and 1320 AM as well as www.lynchburg-hillcats.com, beginning with the Hillcats On-Deck Show at 6:45 p.m.